We recently released the long awaited and highly requested Pedigree View for online family trees, which was very well received by our users. 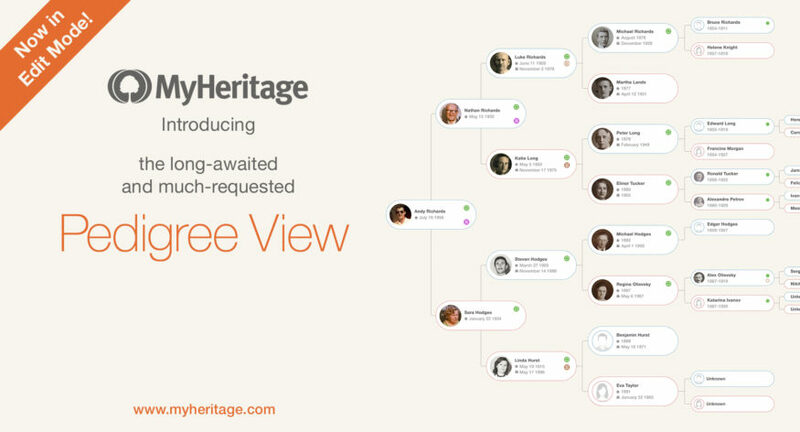 This new view enables you to see a person in your family tree and their direct ancestors. We initially released Pedigree View as read-only. We are happy to announce that you can now add, edit, and delete tree profiles directly from the Pedigree View. It is no longer necessary to switch to the Family View to edit your tree. Let’s dive in and see how editing in Pedigree View works. Click any person in your family tree, and the Details Panel will open on the left side of the screen, displaying information about the selected person. If the Details Panel is closed, you can reopen it by clicking twice on a profile card in the family tree (the first click will center the individual in the tree, and the second click will open the Details Panel). The Details Panel makes it easy to view, add and edit facts about a person without leaving the tree. It lists facts with dates and locations, and also photos and videos of the person. “Profile” opens the Profile page which shows all the information known about the individual, including biography, sources, citations, and more. The Profile page also displays all of the individual’s photos, videos, and documents. “Edit” opens a page for editing the individual’s profile. “Add” opens a menu for adding immediate family relatives of the individual, including parents, siblings, spouses, and children. “More” gives access to additional functions such as editing the profile photo, adding or removing connections, or deleting the individual’s profile entirely. The Discoveries section shows pending Smart Matches™ and Record Matches; allows you to view the individual’s DNA Matches, and gives you the option to search for records about this individual among the billions of records available in MyHeritage SuperSearch™. The Immediate Family section lists all close relatives of the individual, including those who are not shown in the Pedigree View such as siblings, spouses, and children. The Photos & Videos section, which is new in this version of the Pedigree view, displays photos and videos that have been associated with this individual. Click the icon showing the camera with the “+” symbol to add new photos. The Facts section, which is also new in this version of the Pedigree View, lists all facts that you have entered about this person and allows you to add new facts or to edit or delete existing facts. Easily add a parent to any person who does not already have one listed by clicking the “Add Father” or “Add Mother” cards on the tree. We fondly call them Add-Me cards. This is a quick way to add ancestors to the family tree. In addition to these Add-Me cards, you can also add other relatives using the “Add” button in the Details panel. Clicking it will open a drop-down menu for adding relatives of the individual such as parents, siblings, spouses, and children. Clicking any option, such as “Add Son”, will open a convenient window for adding the new person with basic information. Click “OK” when complete. The easiest way to edit an individual’s details in the family tree is to move the mouse over their Person card in the tree, and click the pencil icon to open the Edit Profile page. The Edit Profile page allows editing vital information about the individual such as name, birth and death details, as well as editing marriage information. To add more information not available in the Edit Profile page, click “Edit more” at the bottom of the window to reach the full profile editor. There you can add and edit all fields for that person, including biography, contact info, occupation, education, citations, sources, and more. You can also use the Details Panel to edit information that appears there, for example to add, edit or delete facts, as explained below. A profile in your family tree that does not yet have a personal photo will be displayed with a silhouette in the tree. Click the camera icon underneath the silhouette to upload a personal photo. To add more photos or videos to any person in the tree, click on the large button with the camera and the “+” symbol in the Photos & Videos section of the Details Panel. An overlay screen will appear. Here you can upload files using drag and drop or select them for upload from your computer. The Details Panel makes it easier to view, add, and edit facts (events) of a person without leaving the tree. It lists facts with dates and locations. To add a new fact about this person, click the “Add fact” button at the top of the list. Choose the fact type from the many options presented and click OK to open a window for adding the new fact. You can edit each fact by moving the mouse over it and clicking the pencil icon. A window for editing the fact will open. This page also provides the option to delete the fact. To customize the settings of the Pedigree View, click on the wheel icon in the top right corner. You can make the Pedigree view your default view by selecting the top checkbox. You will only see this option when viewing your tree in the Pedigree View. Use the boxes below “Card display options” to include or remove the Add-Me cards for adding parents and the edit icon. “Name options” allows you to choose whether to display prefixes and suffixes in person cards. Some users prefer not to display these (e.g. “John Martin”) while others prefer to include them (e.g. “Prof. John Martin, Jr.”). Note: the Pedigree View shows females in the family tree with their maiden names. We improved the new and popular Pedigree View by adding the ability to add, edit, and delete profiles. With these additions, the Pedigree View is now complete. All this looks great on mobile devices as well. The editable Pedigree View will soon be available on our mobile app for iPhones and Android devices. 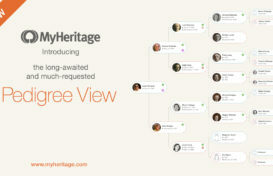 We hope you enjoy the Pedigree View and that it will be helpful in growing your family tree. If you have any special requests or suggestions, we’d be happy to hear them. Kuddos to MyHeritage! Always striving to assist us the very best that they can for our genealogy research and DNA results. MyHeritage is very customer satisfaction based. I’ve always been pleased and appreciate that they can be reached by phone as well. This is great news, thank you. Dr. Joseph S. Wozniak Th.D. MyHeritage is really great, I have used Ancestry.com, Family Treemaker.com, and several others. Thay all fall short in comparison. My Heritage is much more inclusive. My congratulations to your team. Absolutely, Positively LOVE the “Pedigree” View . . . Thank You ! ! ! This sounds great.However some of the details such as special dates are coming up wrong and reminding me of birthdays and anniversaries that are incorrect.How do I correct these? Hi Val. You simply hover over the persons card you wish to edit in the pedigree view. As a result you will see a pencil symbol, which is clickable. Here you can edit all details. yes please! great to be able to edit out typos and general errors. Great! and the cost is? Thx. Just what I’ve been waiting for. this appears to be a great step forward for those of us with “vague” family trees! I’m currently far too involved in writing my own personal life history to divert back to family tree but will hope to keep it smouldering away on my back burner! 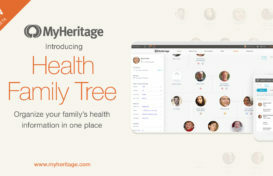 Thank you MyHeritage for this wonderful addition to the already awesome different ways to locate and view our Ancestors. This Pedigree editable addition will make it easier to edit, instead of having to go all the way back to the Family Tree Builder, if already in multiple windows deep. (I do this often.. 🙂 ). Thank Y’all for everything you do for the users! Excellent! I have had MyHeritage now for a couple of years and it just keeps getting better, recently finding a whole extended side of my family to confirm. With the Pedigree View I think it will make it easier to see the relationships as I build the story of the family as a legacy for our children and grand children. Both my wife and I are looking to self publish each of our families histories as they emigrated and served during the wars. I have met the MyHeritage founder at a couple of Genealogy Conventions, brilliant man, and looking forward to building on the DNA results shortly. Please keep up the great work adding digital documents because they are so fragile and so easily lost. Thx. Just what I wanted at last. I cannot find the pedigree view on my iPad? The editable Pedigree View is not yet available on our mobile app for iPhones and Android devices, but it will be soon. Stay tuned.